If only we could wave a magic wand and make it that simple, we would! 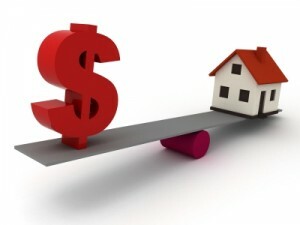 The process of determining a list price for a property requires consideration of a number of factors including recent comparables(active listings and sales more importantly), market conditions(supply&demand), and location, condition and features of the subject property. And while of course we are mindful of what a client needs or wants to see from the sale of their home, that can’t be the primary factor in pricing but rather the deciding factor as to whether or not they want to sell at any given time. And keep in mind that your agent wants you to get the highest number possible for your home as well! This is where it’s helpful to understand the process and trust the guidance your agent is giving you in regards to pricing. A property is worth what someone is willing to pay for it on any given day but overpricing can result in potential buyers overlooking the property completely because it falls outside their range. So rather than presenting an offer and finding some middle ground, they may eliminate it from their list of possibilities altogether. There has been a large number of active listings in the Regina real estate market recently combined with higher than average inventory in new construction resulting in a softening of pricing in some areas of the market in particular. That being said, the snow is gone …finally….and as stated in this Leader Post article sales were up in April and our economic indicators are healthy so onward and upward! So when is the best time to buy or sell…..whenever you need to or decide it’s time for a change! You never know who might be looking for a house exactly like yours on any given day and people move at all times of the year. If you are a buyer today, there are lots of options for you! If you need some help determining the value of your home or if you would like to see what is in the market that might be of interest to you, we’re here to help!